By Todd YoungbloodOctober 8, 2018Think! 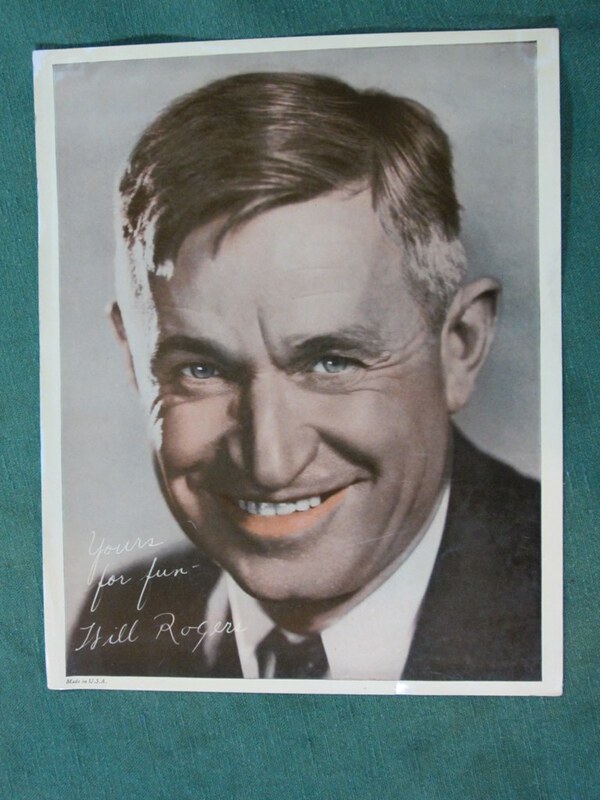 When I grow up, I want to be like Will Rogers. I remember as a little kid seeing clips of Rogers on TV. At the time, I really didn’t understand what he was talking about. It seemed like (actually was) political commentary. I had an inkling that he was mocking what to the immature me loomed as the “really important adults.” And that grin… Will Rogers is my Intentionally Vicarious hero! Jeremy’s Country Western Memorabilia from Wheeling West Virginia and other parts (Western PA & OH). 1930s-1940s. KDKA. His statue at the Capitol is around a corner in an alcove marked by a sign that warns away tour groups. I complained. A senate staffer explained that Rogers asked that his statue be placed where he could keep an eye on the House. It stands at the entrance to the House. TV interviews sometimes take place in front of the statue.